Asparagus is an attractive, delicious, and nutritious perennial vegetable that can produce for 10-15 years once it is established. Asparagus is grown for its succulent immature shoots (spears) which will grow into a fern if not harvested. Asparagus plants are dioecious which means that the male and female flowers are borne on different plants. The male plants live longer, emerge earlier in the spring, and do not produce fruit that will compete with the roots and crown for nutrients. Asparagus grows in almost any soil as long as there is good drainage. Asparagus roots that sit in water-logged soil may develop root/crown rot. It prefers a soil pH of 6.5-7.5 and will do poorly if the soil pH is less than 6.0. As Connecticut soil tends to be acidic a soil test should be done to determine if limestone is needed to raise the pH level. Soil samples can be sent to the UConn Soil Nutrient Analysis Laboratory. Asparagus grows from an underground root system of fleshy storage roots attached to an underground stem called a rhizome and small feeder roots that absorb nutrients and water. The storage roots and rhizome of one-year-old asparagus grown from seed are called crowns. One-year-old, healthy, disease-free crowns are transplanted to start plants. Each crown can produce 1/2 lb. of spears per year when fully established. Asparagus can be planted early April to late May although growth will not start until the soil warms. When choosing a location be sure to keep in mind that an established asparagus bed may last 10-15 years so it should be placed on the edges of the garden in an area where the 6-8' ferns will not block sunlight from other plants. Dig a furrow 5-6" deep. Apply 1/2 lb. of 0-40-0 (triple superphosphate) or 1 lb. of 0-20-0 (superphosphate) fertilizer per 25 foot row to the bottom of the furrow. This will make the phosphorous immediately available to the crowns and will encourage vigorous yields. Place the crowns on top of the fertilizer 1-1 1/2' apart. After planting back-fill the furrow to its original soil level. Buds should appear in a week or so depending on the ambient temperature of the soil. The first growth will be thin and tough so spears should not be harvested in the first year of establishment. Allowing the spears to grow into ferns will help the plant to produce the carbohydrates necessary for the following year's growth. As the asparagus crowns were a year old at the time of planting it will be in their third year, the second year in the ground, that they can be harvested. Asparagus is drought-tolerant and can usually grow without supplemental water since it seeks moisture deep in the soil. The only time that asparagus needs additional water is when the crowns are becoming established after planting. In July, side-dress the plants with 6 lbs. of 5-10-10 fertilizer per 100 square feet of row. A 1/2" layer of compost can also be lightly cultivated into the soil on either side of the plants. Weeds compete with the crop for water and nutrients. They also reduce the air flow around and between asparagus plants resulting in spears or foliage that stay wet for longer periods after rain or irrigation. This moisture can promote many plant diseases. Weeds can be hand-pulled in home garden asparagus beds. Place weed-free mulch such as straw around the plants to reduce weed seed germination and to conserve moisture. Beet armyworm-These caterpillars of a small grey moth feed on the foliage and stems of the plants. Armyworms are olive green to black in color with a yellow stripe on each side of the body and are 1.25" when fully grown. Bacillus thuringiensis sprays are most effective when the larvae are small. The caterpillars can also be hand-picked in the early morning or at dusk when they are most active. Common Asparagus beetles-The CAB adults are 3/8" or less long blue-black beetles with a red prothorax. Their elytra (wing covers) have creamy-yellow spots and red borders. They emerge in the spring to begin feeding on new spears. They will lay eggs on the spears that hatch in a week and the larvae will also feed on the plants. Asparagus beetles generally have 2-3 generations per year, the first generation will feed on the spears and the second and third generations will defoliate the ferns. In the home garden scouting and hand-picking the adult beetles can be effective. Remove the dark brown eggs from the spears. Pyrethrin insecticides are considered safe for organic crops and a have a short residual period (two days or less) which is important in a crop that is harvested frequently. Follow all label directions. Cutworm-Cutworms are caterpillars that hide in the soil near plants during the day and feed at night. Like the asparagus beetles, feeding injury may result in crooked, bent over spears. If damage is seen, check for cutworms by pawing through the soil near the plant and destroy any that are found (soapy water works here too if you don’t want to experience squishing them). Bacillus thuringiensis spp. kurstaki applied as a foliar spray is effective against actively feeding larvae. European asparagus aphid-The eggs are laid by small grey-green adults in the fall and the nymphs that emerge in the spring are capable of reproducing every 10-20 days. A sign of aphid infestation is abnormal plant growth on the lower portion of the fern. Control asparagus aphid by removing dead ferns during winter and harvest regularly in the spring to minimize their food source prior to fern growth. Spray plants with a strong jet of water to dislodge them, introduce beneficial insects such as lacewings or ladybeetles, or use horticultural oil or insecticidal soap. Garden symphylan-These slender white arthropods are about .33" long with 10-12 prolegs. They occur mostly in soil that is high in organic matter. They will chew large numbers of small, round holes in storage roots, crowns, and the below-ground portion of the spears. Japanese beetles-This green and bronze metallic looking beetle overwinters in the soil as a grub (these feed on roots, often of grasses) and beetles emerge in mid-summer. Scout for them from midsummer on and kill them in soapy water. This beetle has a habit of dropping off the plant when disturbed so hold your container of soapy water below them, tap the plant or the beetle so that they fall into the water. 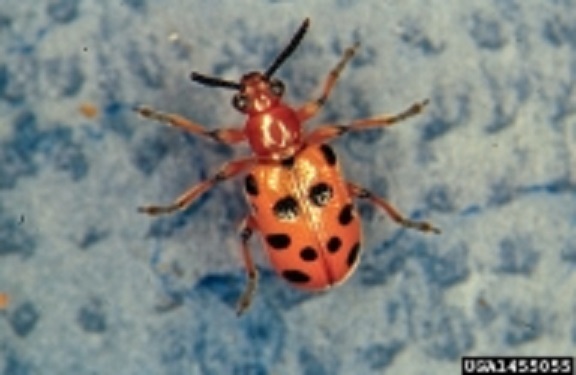 Spotted Asparagus beetles-The SAB adults are tan to orange with black spots and are 3/8" long or less. SAB adults will feed on the spears but will lay their eggs on the ferns and then the larvae will feed on the berries on the female plants. They will have 2-3 generations per year. Monitor as for the CAB. Purple spot lesions-Caused by the fungus Stemphylium vesicarium it causes sunken, purple, oval-shaped lesions that appear on stems and ferns. The result of this is premature defoliation of the asparagus ferns which limits the plants ability to photosynthesize carbohydrate reserves needed for next year's crop. Infections are favored by wet weather. Minimize moisture by avoiding overhead irrigation or if used, water first thing in the morning to promote rapid drying. If fungicides are used do not use them on spears that are going to be harvested. Wait until the ferns have emerged. This fungus also overwinters in infected plant debris so thorough clean-up when ferns are cut helps reduce disease. Rust lesions-Caused by the fungus Puccinia asparagi. Symptoms first appear as small orange patches on spears and fern branches. High humidity and warm temperatures can influence spore production. Windblown spores can spread to adjoining plants and can overwinter so remove all plant debris at the end of the season. Plant resistant varieties if possible. Use a fungicide for control beginning in August when the first signs appear and repeat at 7-10 day intervals if necessary. Fusarium stem, crown and root rot-Affected plants are wilted, stunted, and sometimes dingy brown. Entire shoots on mature plants wilt during dry periods. The roots will have reddish rotted areas. 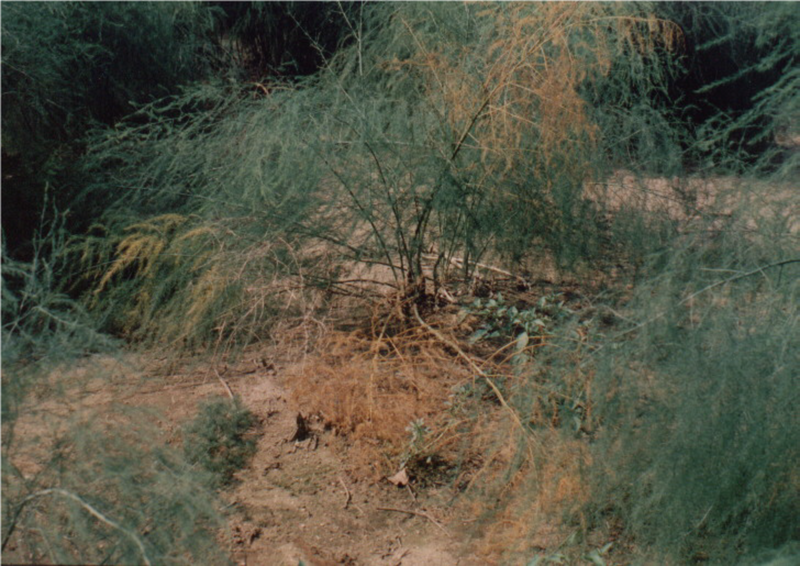 Pathogens enter the plant through young feeder roots or through damage done by Asparagus miners. Select disease-free plants or resistant varieties. If Fusarium has been diagnosed do not replant in the same area for 4-10 years. 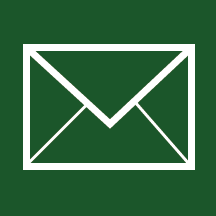 Contact the UConn Plant Diagnostic Laboratory for testing. The following is a list of asparagus varieties that were developed at Rutgers and have been found to be well adapted for production in the Northeast. Jersey Giant - all-male hybrid, widely adapted, rust resistant, Fusarium tolerant. Greenwich - all-male hybrid, rust resistant, Fusarium tolerant. Jersey Centennial - a dioecious hybrid, rust resistant, Fusarium tolerant. Synthetic * 1 - a mixture of dioecious hybrids, rust resistant, Fusarium tolerant. Synthetic #2 - dioecious, not a hybrid, tolerant to rust, Fusarium tolerant. Synthetic #3 - a mixture of male hybrids, rust resistant, Fusarium tolerant. Martha Washington, Brooks strain - dioecious, not a hybrid, has shown excellent vigor in New York plantings. This strain was selected from surviving plants in an old commercial field in New Jersey. During the spring of the third growth year of the asparagus the spears can be harvested. Snap off any 7-10" spears that are at least the width of a pinky finger. Always harvest all spears that come up during the harvest period. For the first year of harvest the spears should be picked for 2 weeks. The second year of harvest (the fourth year of growth) the spears can be picked for 4 weeks and for up to 8 weeks in the fifth year of growth depending on the vigor of the beds. Any spears that are produced after this time should be allowed to develop into ferns. Clean the garden beds of any crop debris to reduce pests or diseases that may overwinter. Once the ferns have been hit by a frost in Late October or early November cut them back to the ground and remove all plant debris. Cut spears may be stored for several days if wrapped in moist paper towels and kept refrigerated.